From Uptown Charlotte condominiums to single family houses on tree lined residential neighborhoods streets, Charlotte offers a vast selection of property choices. 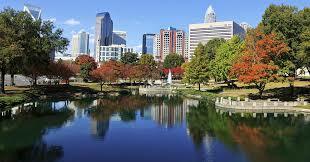 Neighborhood parks and great little places to shop and eat make Charlotte a very charming city. Let Loretta Realty Group help you find the perfect home to fit your lifestyle. Click on the search tool on this page and save your favorites. We will also set you up on a web portal to get the latest listings so you do not miss out on a buying opportunity.